The CRAAX team was set to concentrate a pool of knowledge in the ICT field, with the main objective of conducting breakthrough applied research in several network related areas. Foremost, the core CRAAX mission is positioned to transfer research results to the industry sector but also to harvest innovative solutions strongly impacting on the overall society, while simultaneously keep on training highly skilled professionals. 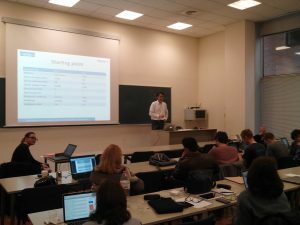 Nowadays, the CRAAX team manages the CRAAX Lab bringing together a multidisciplinary team consisting in researchers from the UPC (networking and OS background) and from the Directorate of Innovation at the Hospital Clínic in Barcelona (health background). This correlation of knowledge, integrating and leveraging ICT and health profiles, fosters the development of innovative high-tech close-to-society solutions with a particular focus on smart scenarios (IoX, cities, transport, homes) and on the e-health sector. The CRAAX team has recently renewed (2017) the quality stamp awarded by the Catalan Government as a recognized research group (SGR2017-157). "A Beacon-assisted Direction-Aware Scanning Scheme for 802.11-Based Discovery in Fog-to-Cloud Systems", has been accepted at the 2018 IEEE 29th Annual International Symposium on Personal, Indoor and Mobile Radio Communications (PIMRC), to be held in Bologna, Italy, September 9-12, 2018. "Virtualizing the Edge: Needs, Opportunities and Trends", has been accepted at the IEEE 6th International Conference on Future Internet of Things and Cloud (FiCloud-2018) to be held in August 5-6, in Barcelona. "A Novel and Scalable Naming Strategy for IoT Scenarios", has been accepted at the Future Technologies Conference (FTC) 2018 to be held in November 13-14, in Vancouver. 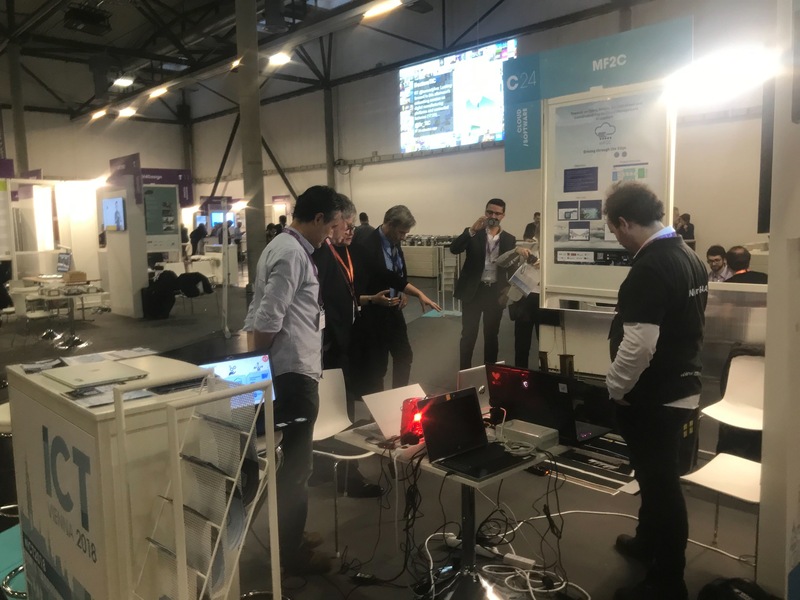 "mF2C: Towards a Coordinated Management of the IoT-fof-cloud Continuum", co-authored by UPC, ATOS, BSC, TUBS, STFC, Engineering, INTEL, Worldsensing, SIXSQ, and XLAB, has been accepted as an Invited paper at the 4th Workshop on experiences with the design and implementation of smart objects (SmartObjects2018), to be held in June in San Diego, USA. "A Resource Identity Management Strategy for Combined Fog-to-Cloud Systems", co-authored by UPC and ATOS, has been accepted at the Seventh IEEE International Workshop on the Internet of Things: Smart Objects and Services (IoT- SoS2018) to be held in June in Chania, Greece. "Analyzing the Deployment Challenges of Beacon Stuffing as a Discovery Enabler in Fog-to-Cloud Systems", has been accepted at the 27th European Conference on Networks and Communications (EuCNC2018), to be held in June in Slovenia. "Towards a Proper Service Placement in Combined Fog-to-Cloud (F2C) Architectures", co-authored by UPC, IBM, ATOS and TUBS, has been accepted at the Future Generation Computer Systems Journal. Professors Ignacio de Miguel and Ramón Durán visited CRAAX to discuss about potential collaborations in the AI field, supported by the ELASTIC project. "Towards an Efficient Key Management and Authentication Strategy for Combined Fog-to-Cloud Continuum Systems", has been accepted at the 3rd Cloudification of the Internet of Things (CIoT) 2018 to be held in July 2-4, in Paris. "Taxonomy and Resource Modeling in Combined Fog-to-Cloud Systems", has been accepted at the Future Technologies Conference (FTC) 2018 to be held in November 13-14, in Vancouver. "Data preservation through Fog-to-cloud (F2C) data management in smart cities", has been accepted at the 2nd IEEE International Conference on Fog and Edge Computing 2018 to be held in May 1-3, in Washington. "F2C-Aware: Enabling discovery in Wi-Fi-powered Fog-to-Cloud (F2C) systems", has been accepted for inclusion in the IEEE Mobile Cloud 2018 Conference to be held from 26-29 March 2018 in Germany. Vitor has deposited his PhD thesis. Final defense to come on January 29th. Three papers has been presented at the FTC conference. Amir has deposited his PhD thesis. Final defense to come in two months. "Towards a Fog-to-Cloud Control Topology for Qos-Aware End-To-End Communication", presented in IWQoS 2017, Vilanova i la Geltrú. "Towards Service Protection in Fog-to-Cloud (F2C) Computing Systems", has been accepted for inclusion in the Future Technologies Conference (FTC) 2017 to be held from 29-30 November 2017 in Vancouver, BC, Canada." "An SDN-based Architecture for Security Provisioning in Fog-to-Cloud (F2C) Computing Systems", has been accepted for inclusion in the Future Technologies Conference (FTC) 2017 to be held from 29-30 November 2017 in Vancouver, BC, Canada. "Fog-to-Cloud (F2C) Data Management for Smart Cities", has been accepted for inclusion in the Future Technologies Conference (FTC) 2017 to be held from 29-30 November 2017 in Vancouver, BC, Canada." "Securing combined Fog-to-Cloud system Through SDN Approach", to be presented in CrossCloud'17, Belgrade, Serbia. 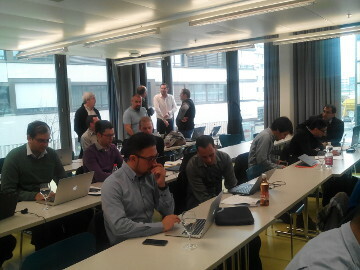 CIPSEC project meeting February 6-8th, CRAAX members attended this event, on Lucerne, Switzerland. "A Novel Architecture for Efficient Fog to Cloud Data Management in Smart Cities", to be presented in ICDCS 2017, Atlanta, USA. 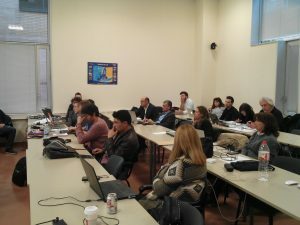 mF2C held its Kick-Off meeting, in Barcelona on January 25-26th. "Towards a Comprehensive Data LifeCycle model for Big Data Environments", presented in BDCAT2016, Shanghai, China. "Foggy clouds and cloudy fogs: a real need for coordinated management of fog-to-cloud (F2C) computing systems", co-authored by UPC, TUBS and IBM, published in IEEE Wireless Communications Magazine. "Towards Distributed Service Allocation in Fog-to-Cloud (F2C) Scenarios", presented in Globecom 2016, Washington DC, USA. "A Data LifeCycle Model for Smart Cities", presented in ICTC 2016, Jeju Island, Korea.